A beautiful Church in the heart of the village. The present Church is largely the result of 15th and 19th Century restorations but it is on the foundations of the late Norman church (circa 1175) which stood on this site. 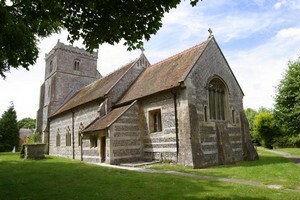 The Norman church replaced an earlier wooden Saxon church. 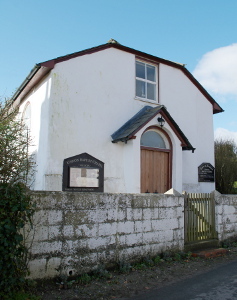 Upavon Village Hall has a fully equipped kitchen and is available for hire at very reasonable charges. 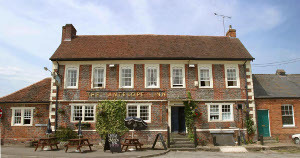 The Antelope Inn was first mentioned in 1604 and was rebuilt in the early 18th century. Situated in the heart of Wiltshire's historic area comprising Stonehenge, Woodhenge, Durrington walls, Avebury stone circle, and is ideally situated as a base to see the many crop circles that are found in this area. Its an ideal place to break up your day or even for a mini getaway. We have recently refurbished our letting rooms to a very high standard. We have 5 luxury en-suite letting bedrooms, 4 kingsize double rooms and 1 executive single room. You'll find a pleasantly impressive menu at The Antelope Inn. We use locally sourced fresh produce in our dishes and take great pride in our cooking. We don't serve fast tasteless bland food, instead you'll find yourself with a great tasting, mouth watering meal that you'll appreciate. 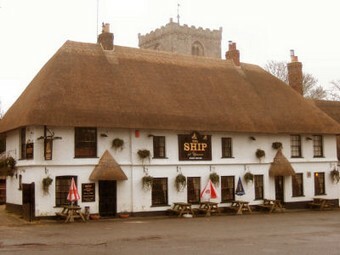 The Ship Inn is a "proper English Pub", mind your head as you enter, this charming 16th Century thatched Pub, with it's low beams and open fires, where muddy boots and well behaved dogs are welcome, it's the perfect place for refreshment while exploring the nearby Salisbury Plain. Pam and Ian extend a warm welcome at the Ship Inn, a traditional 15th century house with open fires and low beams. Meet friendly locals and enjoy excellent homemade food daily, lunchtime and evenings, also enjoy a woodfired, handmade pizza from our own pizza oven, available Thursdays Fridays and Saturdays. Complement your meal with a pint or two of locally brewed ales from breweries like Ramsbury, Stonehenge Ales and the Three Castles, and maybe even have a ghostly experience by the log fire! 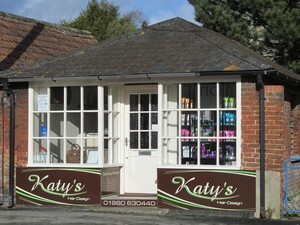 Winner of the Best Independent Shop. 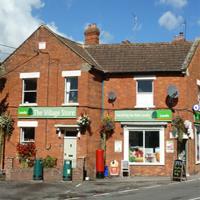 Cheryl & Mike Parr and Family extend a warm welcome, offering everything you might need from your village store. Fresh Local Fish & Meat, Fruit & Veg, Milk & Bread, cakes, jams and chutneys, selection of wines and spirits, cold beer and cider, everyday provisions, National Lottery, Newspaper delivery, petfood, stationary,top-ups and much more! "If they haven't got it, let them know and they will do their best to get it". Bouquets and Posies, Buckets of Blooms, Flowers for Florists. We have recently refurbished our letting rooms to a very high standard. We have 7 luxury en-suite letting bedrooms, 6 kingsize double rooms and 1 executive single room. Widdington Farm is a picturesque farm set into the Wiltshire countryside neighbouring the extensive Salisbury plains. Widdington Farm, run by Jeremy Horton, has a long history of game shooting but opened its doors to its new clay shooting ground, namely The Shooting Club in June 2005. The Shooting Club has since gone from strength to strength and is now a premier ground offering a wide scope of clay shooting to the public ranging from total beginners wanting to experience their first clay to expert shots wishing to stay at the top of their game. Based in Salisbury Plain District, we have mile upon mile of beautiful countryside on tap for the outdoor element of Scouting. We are also avid badge hunters - with the majority of our meetings being centred around challenge and activity badge work, we enjoy encouraging our youth members to aim high and achieve their awards and rewards. This is done by following a balanced programme of activities, learning by doing, and of course by having tons of FUN along the way! There have been golf holes laid out on the site at Upavon since 1912 when the area was used for recreation by the newly-formed Royal Flying Corps just before the First World War. In 1918 the Royal Flying Corps evolved into the Royal Air Force who occupied Upavon Aerodrome Station for 75 years. 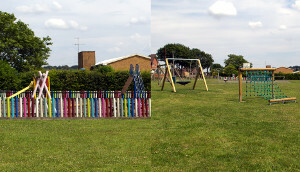 The RAF vacated the site in 1993 and by 1997 the current testing 18 hole layout was established. Wyvern is the largest gliding club within the Army Gliding Association and provides gliding as a recognised sport and approved Adventurous Training activity to all Servicemen, retired servicemen and MoD civilians and by exception other civilians can be invited to join. It will also provide air experience flights for all those interested in finding out about the thrill of gliding. All instruction is carried out by BGA (British Gliding Association) Instructors. Upavon MXC is a motocross club affiliated to the AMCA. Its home track is near Upavon in Wiltshire and its members ride most weekends between March and October on tracks predominantly in Wiltshire, Somerset and Gloucestershire. 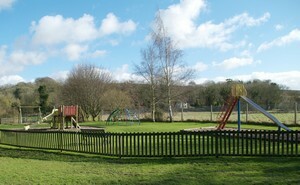 Many of our club members come from further afield, for example Hampshire and Dorset. In the heart of Wiltshire, where the Pewsey Vale meets Salisbury Plain, the River Avon runs through the village of East Chisenbury. The Chisenbury Fishing syndicate manages some 2 ½ miles of water in an informal and natural style to encourage a healthy stock of Brown Trout and Grayling. The wild fish are supplemented by a limited amount of stocking with Triploid Brown Trout. Healthy numbers of Grayling are found throughout the water and most seasons specimen fish over 2 pounds are caught.